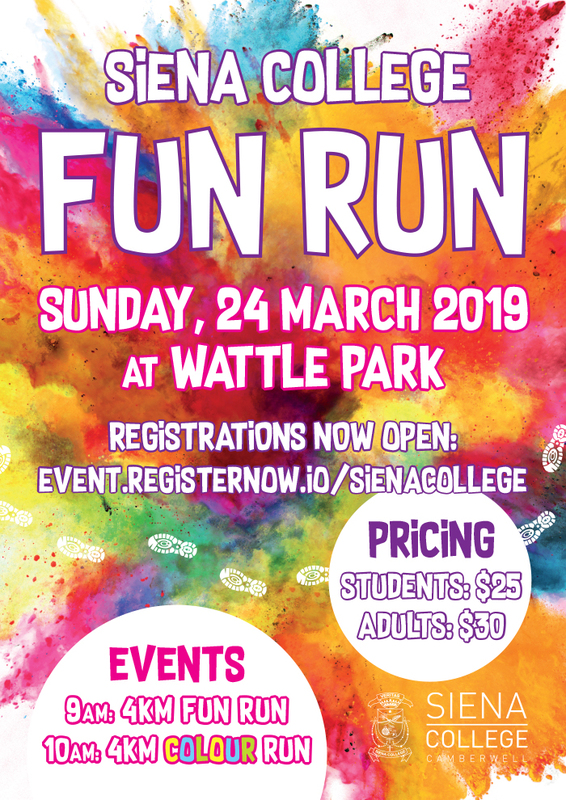 The 2019 Siena College Fun Run will be held at Wattle Park on Sunday, 24 March. This is sure to be a terrific community event for students, families and staff. Once again our Siena Parents’ Association will host food and drink stalls for all to enjoy. 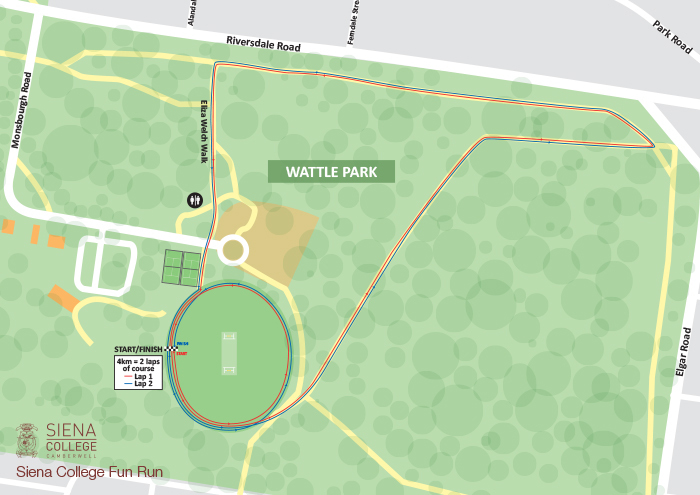 There will be two events this year: a 4km Run/Walk at 9.00am and the popular 4km Colour Run/Walk at 10.00am. CLICK HERE to view the Fun Run course. Please note that due to permit regulations, pets are not allowed at this event.